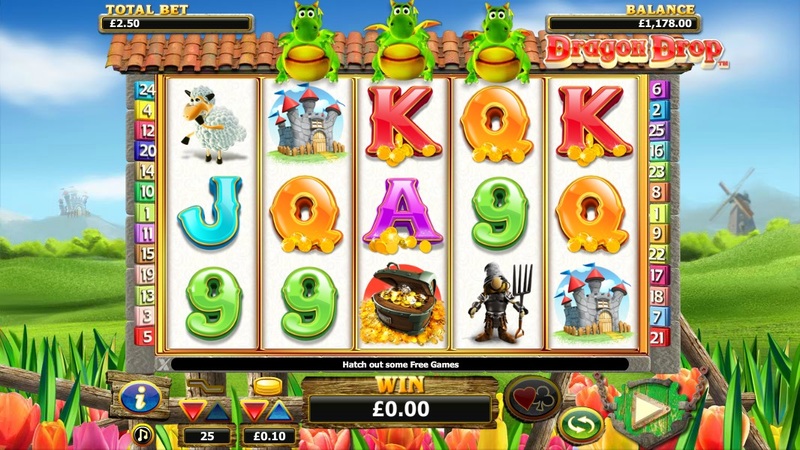 Dragon Drop is a brand new slot game from NextGen that will take you off to a magical adventure on the countryside. This game was launched in 2015 and it holds some really neat graphics and there is a nice color scheme. Expect to find 5 reels and 25 pay-lines, while you can activate from time to time some nice features and there is even a bonus round available. This way the experience that you will have is going to be one of the most rewarding. 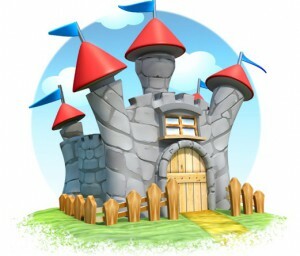 The symbols you can find will include castles, treasures, sheep, dragons and dragon eggs. There are also the 10 to Ace cards as minor symbols. 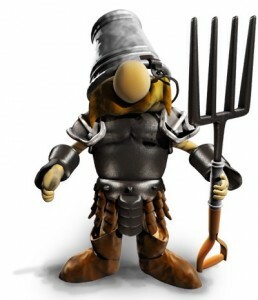 Every time you hit a winning combination you will bring to life the symbols and you can notice some nice animations. Every time you spin the reels of Dragon Drop slot you can start noticing that there will be some dragons that might drop and turn some of the symbols into wilds. The wild green dragon is an icon that will be available only on the reels that are located in the middle (2nd, 3rd and 4th reel). All the wins that occurs while playing this game and when you get a wild on the reel, will come with a 2x multiplier. You need to always be on the lookout for one of the most rewarding symbol which is the scatter. In this game it’s represented by the dragon eggs and when you get at least 3 or more of these symbols, you should be able to unlock 8 free spins. All the prizes here are doubled thanks to a multiplier and the dropping dragons, which are the wilds, are going to be sticky wild and hold their position throughout the entire free games round. The scatters are also offering you a multiplier for the bet you’ve placed. This way there is going to be the possibility to earn 2x your bet for 2 scatters and it all goes up to 100x the total bet in case you get 5 scatters. Unlike many of the video slot games from NextGen casino Gaming, the Dragon Drop is most definitely able to stand out of the crowd thanks to the fact that it holds a much better visual experience. 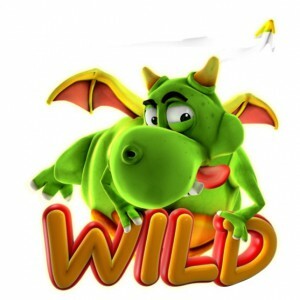 The animations are fantastic and all that it takes is 2 cents in order to bring the reels to life and as soon as the dragons will drop on the reels, the wild symbols can provide you with some excellent pays. Another feature available at Dragon Drop that you should use is the gamble feature. It takes just a click on the gamble button next to the spin button and this way you can double or quadruple your winnings. In order to do that you just have to play a simple and entertaining game where you have to choose between red or black to double your money or the suit of the next card draw in order to quadruple the money.